The W710ST makes the perfect companion for movie and game lovers seeking extra fun in the down time. Built with BenQ’s unique lens design, this home entertainment projector delivers 63” of unlimited action at just one meter – allowing you to enjoy any motion-control game in any size room. 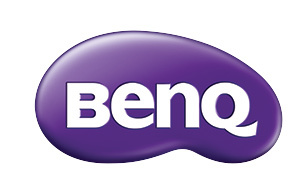 A global DLP® expert, BenQ excels as the number one-selling brand in the worldwide short-throw projector market – with every one out of seven short-throw projector to be of BenQ kind. This undisputed short-throw leader offers picture quality excellence defined by astonishing color performance and well-focused text projection with its uqniue lens design. 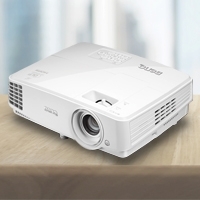 The W710ST is the world's first short-throw projector to offer 720p high definition resolution for home entertainment. Now, you can enjoy crisp, accurate and lifelike HD contents, whether it's your favorite HDTV program or PS3 video game, at a much closer distance. Enjoy true-to-life images with splendid color details. A high brightness level of 2500 ANSI lumens delivers an optimum picture performance even under low ambient light. 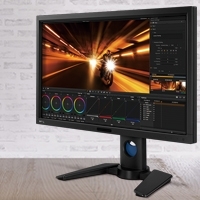 An ultra-high contrast ratio of 10,000:1 enhances every picture with razor-sharp details and superbly rendered image definition – so no action is missed. BenQ transforms your audiovisual entertainment with industry-leading 3D technologies, DLP Link™ and NVIDIA 3D® Vision™, bringing the 3D movie experience into your home. HDMI is the highest connection standard for a high definition picture, and now you have a dual HDMI interface to enjoy more without having to swap cables each time you want to view digital content from a second source. BenQ complete your home theater experience with a built-in 10W big speaker. All you need to do is plug ‘n play to enjoy a big picture and great sounds! A special cooling technology is incorporated to prevent the lamp from overheating, lowering the cost for lamp replacement significantly. The lamp life is further extended to a maximum of 9.6 years* under the Eco Mode**. **Actual lamp life may vary due to different environment conditions and usage. BenQ's DLP projector engine design reduces the cooling time by over 60% and lowers the power consumption to <1W while the projector is inactive with the Standby Mode on. 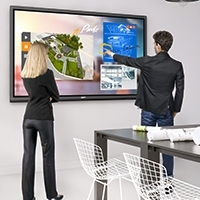 evelopment of eco-friendly products, BenQ doesn't just want to comply with green regulations passively, but also to actively develop eco-friendly products! The DLP engine is virtually immune to color decay, delivering an extended lifespan of reliable color performance without developing a yellow or green tint overtime. Snow-white and exquisitely finished with a stylish contour, the W710ST is designed to compliment any contemporary living space.